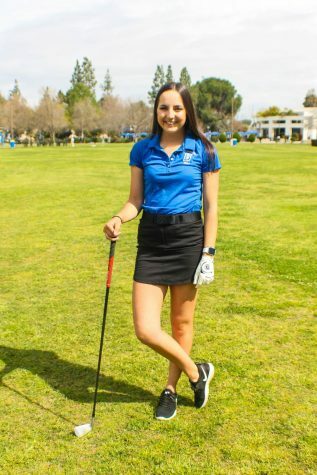 Regulation time was not enough to decide a winner between CSU Bakersfield and Drake University. The Bulldogs (1-1) dropped the Roadrunners (1-1) 1-0 thanks to a goal with 1:59 left in the first overtime on Sunday, Aug. 28. The game went back and forth in regulation, but the game remained scoreless. 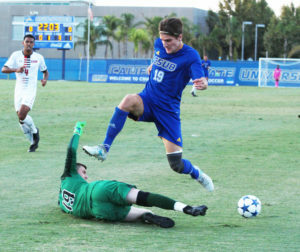 Then late in the first extra period, Bulldogs’ senior midfielder James Wypych was able to get a header from five yards out to give DU the victory. 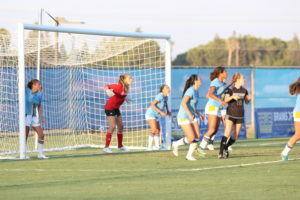 Before entering the first overtime, both teams had seven shots each with both teams having three saves each. 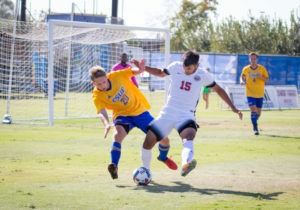 Despite the Bulldogs losing senior defender Andre Heine being ejected after receiving two yellow cards, the Roadrunners could not take advantage. 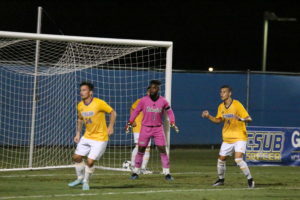 The Roadrunners redshirt-junior forward Julian Zamora took a game-high four shots, while junior forward Louis Lapouge had two attempts and senior goalkeeper Nicolas Clever made two saves. “Every single game, we are getting a lot of chances. 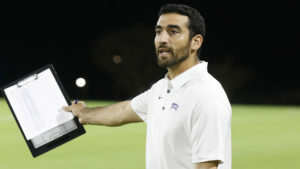 Unfortunately, today, there was a couple that didn’t get to finish, and that cost us,” said Zamora. 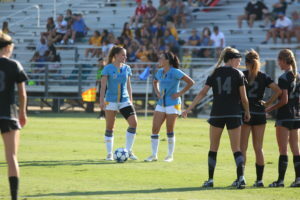 Despite the loss, the Roadrunners were able to win their opening game against Sacramento State 3-1 on Friday, Aug. 26. Lapouge was able to score at the 4:40 mark. That momentum continued and allowed Zamora to make two more goals for the Roadrunners. Clever did allow the Hornets to score, but he was able to make four saves. “We are definitely getting better, and that’s what all these games in September are for. 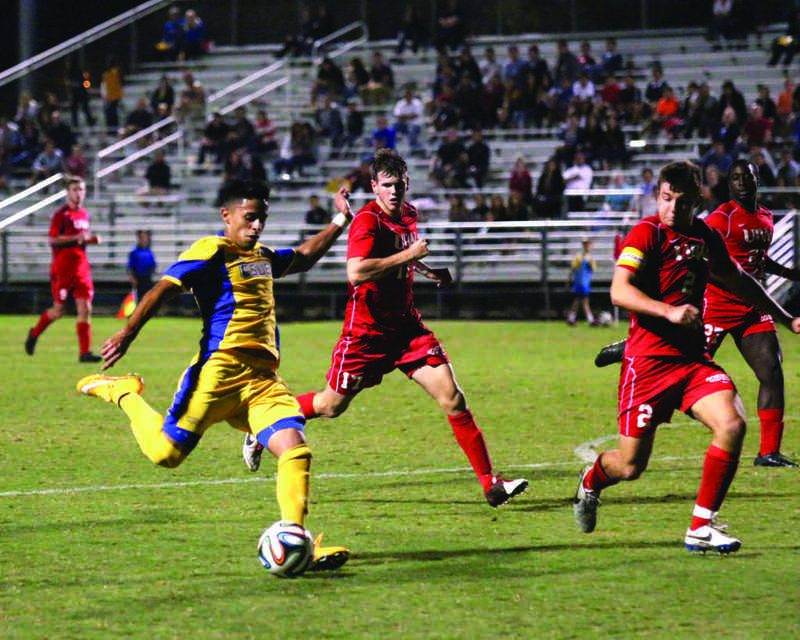 Each minutes are important and particularly for our first-year guys,” said Grant. 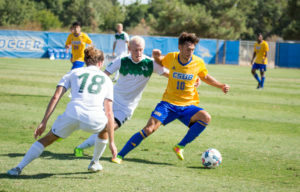 CSUB will host the University of San Francisco Thursday, Sept. 1 at the Main Soccer Field.